Beautiful apartment in luxury development in Denia region for sale. 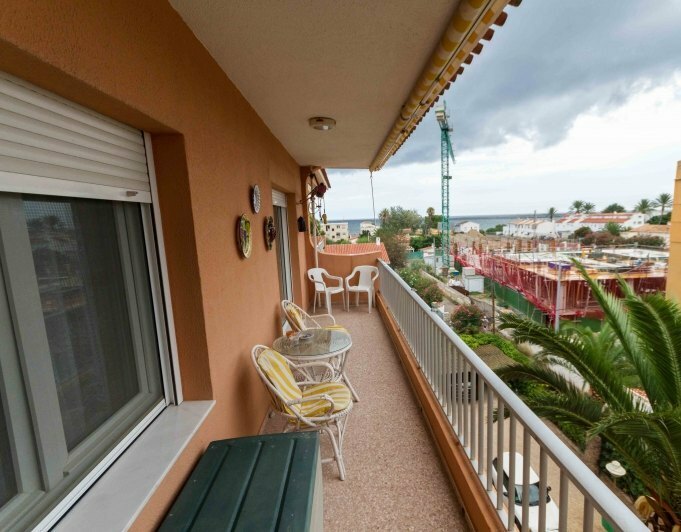 Located in a flat area, perfect for walks to the beach or bycicle. This apartment is located in a complex with many amenities and extras that make a difference and will make your day to day something special. The urbanization has a large communal pool surrounded by beautiful and well-kept gardens, paddle courts and also has a indoor swimmingpool, a gym or relax in the sauna, which is located in the locker room... The apartment in is very bright and has a modern finish, is distributed in two bedrooms and two bathrooms, a spacious living room and kitchen with laundry area. Do not miss this great opportunity to acquire a modern apartment in a different area. It is an apartment within a complex by Las Marinas, with communal pool, gardens and parking places that can be accessed by electric gate with remote control. The feature of this development is that apartments that compose it are divided into two categories: Gound floors with terrace and garden and first floors.This apartment is a ground floor with a fully fenced garden which includes a covered terrace area. The house comprises in living room, kitchenette, two bedrooms with fitted wardrobes and a spacious bathroom. It includes air conditioning with pump of heat in the living room. A modern and elegant apartment in a luxury complex with its own gym, sauna, jacuzzi and heated pool. Located in the beautiful village of Xalas, it offers all kinds of entertainment outdoors to your door, from cycling, climbing, hiking to horseback riding. Xalas also has a very popular market and is renowned for its wine cellar. With beautiful views of the mountains, this House could be an ideal home for people who want to live in the countryside but seeking modern comforts or rent houses. It is a 2 bedroom apartment in the Centre of the village, a bathroom, living room, fully equipped communal pool and parking included. It is an apartment located in a complex close to the beach Denia, at the level of Els Molins and Nova Dénia, about five kilometres from the centre of Denia, with pool and gardens, as well as parking area in the complex which is accessed through electric gate for vehicles.The apartment has two bedrooms (one of them very good sized), large bathroom, american kitchen with a bar that has storage cupboards for kitchen stuff, living room and a terrace of 45 square meters on the top of the property with great views. It is important to know that on this terrace, according to the Community agreement this terrace can be convert according to the taste of the owner, like other neighbours have done already.It has some extras such as air conditioning and electric blinds. Good orientation with morning sun. No need to cross any road to get to the beach.Come and visit it without compromise. 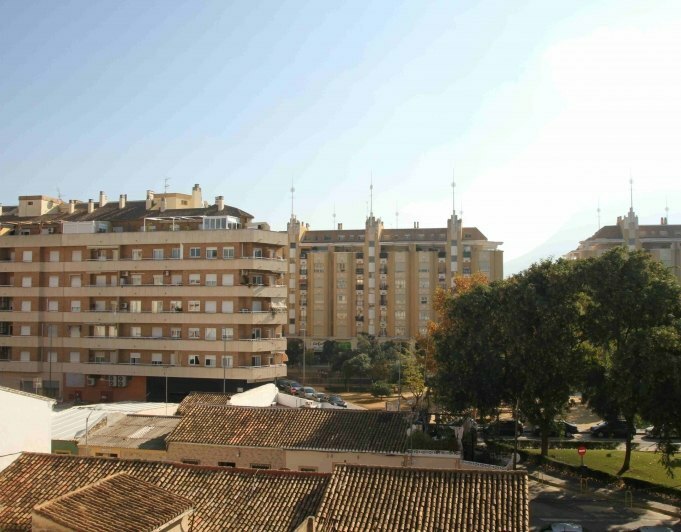 Apartment in the most quiet charming Spanish village, Beniali, Alicante, Denia region. 30 minute drive to the coastal towns Denia, or Oliva. First floor bright renovated apartment with a huge attic and terrace next to the town center but surrounded by nature. 2 bedroom renovated apartment 3 minutes from Denia, at km 1 of the road of Las Marinas. Third floor without lift. PVC windows, air conditioning, kitchen reformed... A home ready to move into. Apartment in Denia for sale. The residential complex is located at one of the best areas of the Costa Blanca north, 7 km to the beach of and to the city centre of Denia. The urbanisation “La Sella golf resort” offers you a 27 -hole golf course, 6 tennis courts, horse riding school, pharmacy, Reception, restaurant, cafeteria, supermarket, 24 hour security..
Great plot with wonderful views to the sea, in the luxury area of La Sella, just 1 km from the Golf club, close to all amenities. Sold with or without construction project. Super opportunity! Rustic plot in the municipality of Denia. 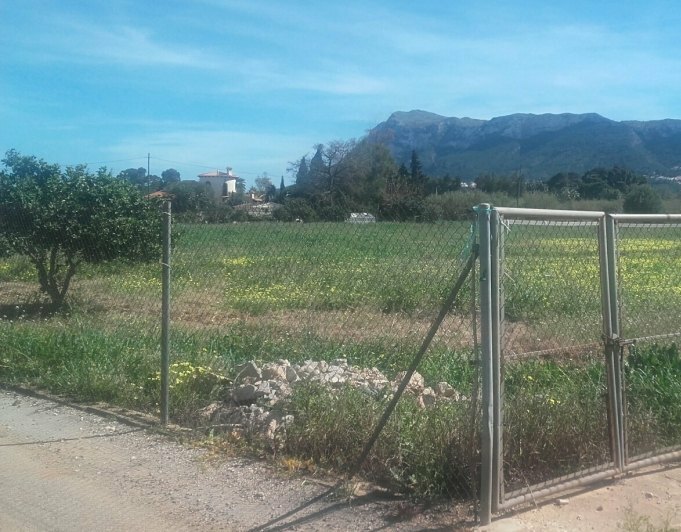 Rustic plot in Denia with a garden shed for the tools in a quiet and charming area of Denia. Ideal for agricultural exploitation or to enjoy during the week end. It has light and well drilling for freshwater with the possibility of coupling for drinking water. The entire plot is fenced and has 7.537 m.
Townhouse in Beniarbeig for sale. Consisting in a single groundfloor distributed on porch, entrance hall, living/dining room, kitchen with laundry room, Hall distributor to two bedrooms, one bathroom, covered terrace and terrace with pergola. The total built area is 75,31 square meters. The house is located within a residential complex consisting of 24 houses and has a common area of 4.642,12 m2 which has an area of common garden with an outdoor pool and a total of 26 parking areas. The house is impeccable and is very bright. It has some improvements such as wooden floors throughout the house with the exception of the bathroom, in which furniture has been replaced by a more functional and modern one. It is very quiet and it is very close to beach and mountains. The housing is in perfect condition to live and it is sold unfurnished. 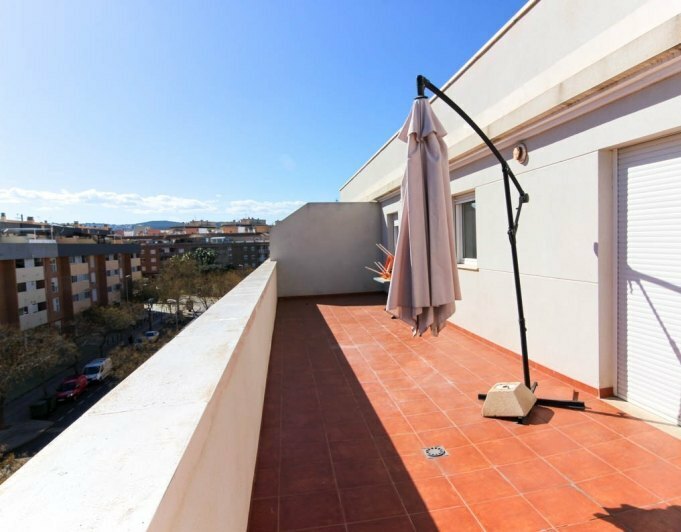 Living in an attic at a very low price, it is possible.Penthouse for sale in Denia Centre and at the same time near the beach, with terrace, South facing, cute and different. Living room with open kitchen, 2 bedrooms, 1 bathroom, semi new, in not very old building. Lift and close to all amenities. Ideal both for live throughout the year to holiday. View clear to the Montgó, Sun all day, all exterior, with fitted wardrobes in the bedrooms. You can't miss it. Second floor apartment with lift distributed in double bedroom, bathroom, kitchen, living room and terrace with a view to the common areas.It has air conditioning and fitted wardrobes.Complec with swimming pool and garden, at Km 3 of Las marinas, 100 m from the beach. Apartment for sale in Denia town center with 3 bedrooms.This property is located near the town center of Denia, on the top floor with lift, comprising of 3 bedrooms, 2 bathrooms, ample closed kitchen with washing area, large living/dining room with fireplace and terrace.The property is south east facing and has sun all year round.Please enquire to view this property in Denia. 2 bedroom apartment in the Centre of Denia, built in the year 2008. Third floor with a lift. It has lots of daylight, views of Montgó and Park Chabas. 2 bedrooms with fitted wardrobes and one bathroom. 2 minutes walk from Marqués de Campo. Perfect for summer holidays! Terraced house in a lovely complex with communal pool and gardens and direct access to the beach! The ground floor has a livingdining area with open plan kitchen and a pretty sun terrace. Upstairs are 2 bedrooms with fitted wardrobes and a bathroom with balcony. Offered furnished, this is an excellent opportunity and great for rentals. 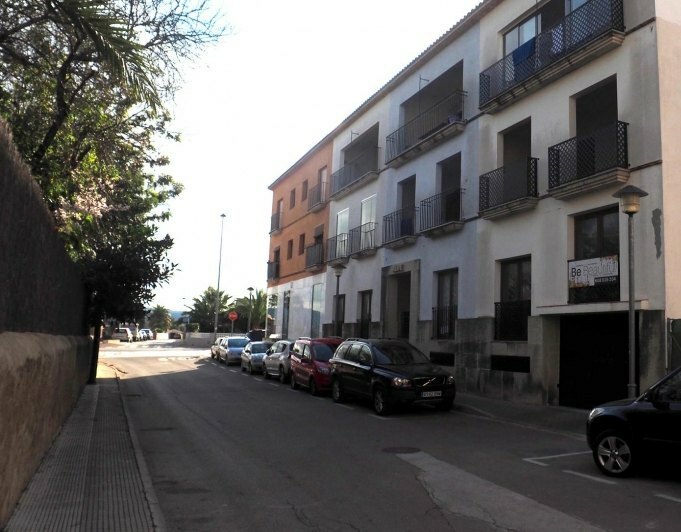 Town house for sale in Pedreguer located a few meters from the plaza Mayor.Currently the house is distributed in two completely independent dwellings, with its own entrance each one from the street. If you prefer other settings, is something that you can change, even you will be able to stay a garage on the ground floor if you need it.The ground floor is accessed flat feet from the street. 81 m² with generous spaces in its spacious rooms and of course a beautiful in courtyard, where there is also a storage room of 30 m². Some areas of the ground floor needs maintenance work, but it is perhaps the most special part of housing reconditioned once.The core of the ladder from the top floor of 84 m neat and ready to move into. This part of the housing is more bright and modern.At the bottom of the first floor, next to the kitchen, is a fabulous roof terrace. On the terrace you have in addition a space for laundry. In addition to 3 bedrooms and full bathroom. High quality terraced house in a rustic style with a constructed surface of 122,60 m2 plus terrace of 22,40 m2. Located in a new, peaceful part of Benimeli (15 km from Denia, 5 km from the shopping center Portal De La Marina in Ondara, 6 km from the Les Deveses Beach). The house has two stories. Ground floor: entrance terrace, large livingdining room with woodbeamed ceiling, closed kitchen with oven and hood, shower room, courtyard with barbecue. An internal staircase leads to the first floor with 3 double bedroom with fitted wardrobes and 2 bathrooms (one of them ensuite). Two of the bedrooms have access to open terraces.Security door, double glazed aluminium Windows, PVC roller blinds, ceramic floor tiles, air conditioning hot/cold on both floors, electric radiators, mosquito nets, window grilles and covered parking.